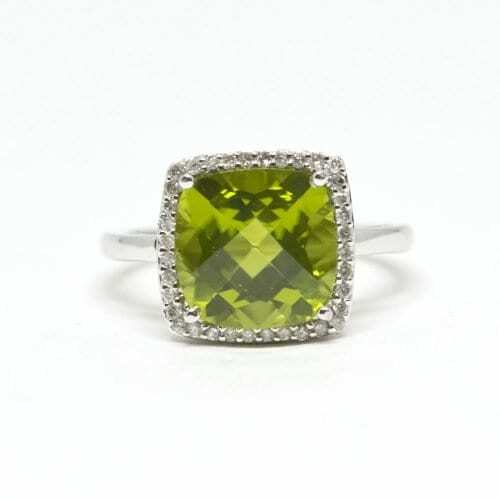 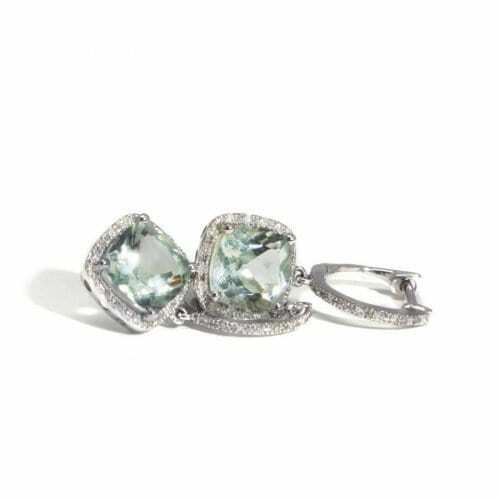 Checkerboard Cushion Cut Peridot Ring made out of 14k white gold. 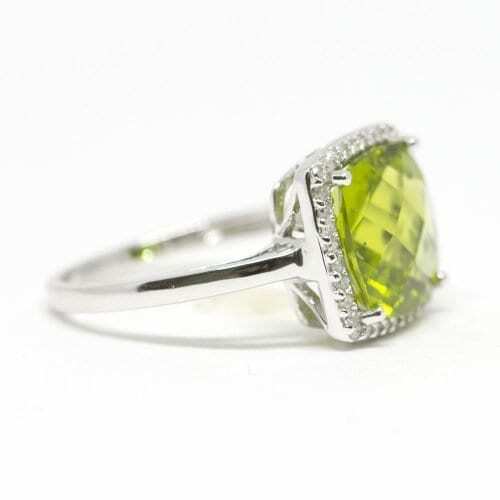 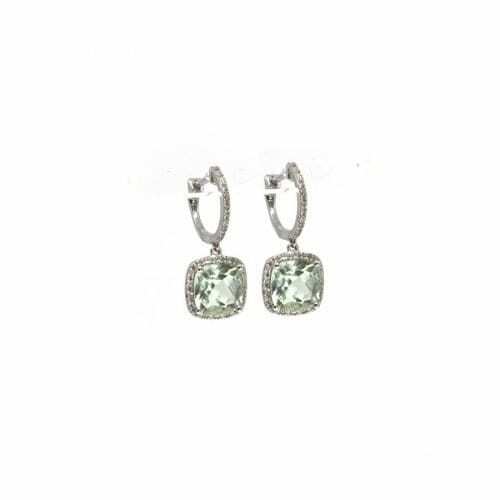 The center is a prong set 4.10 carat cushion peridot in a shared prong set brilliant round cut diamond halo. 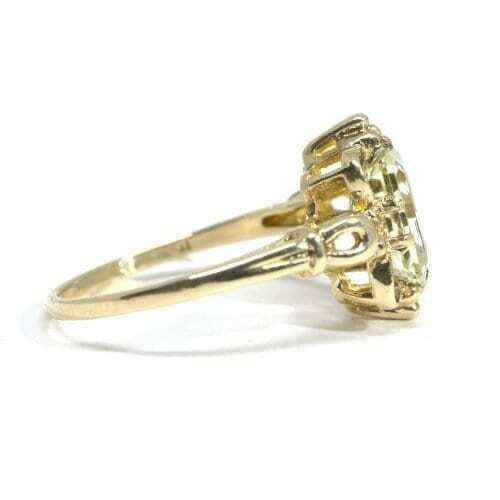 The ring features a high polished band. 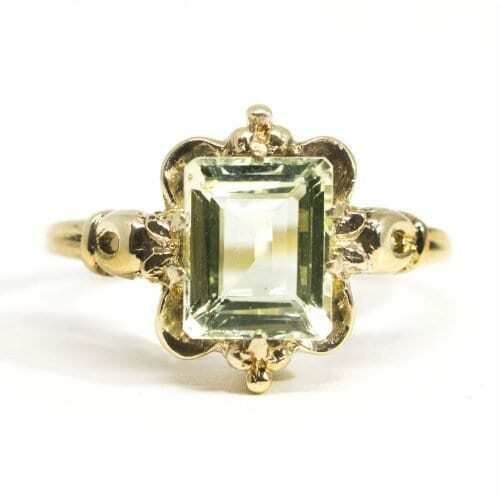 There are .20 carats in diamond weight. 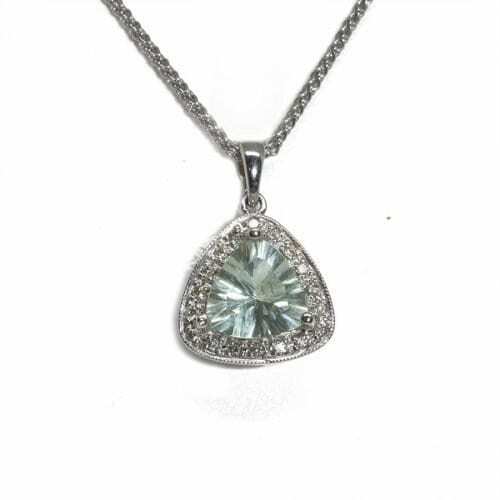 The pendant is a rounded triangle shape fluorite with diamond halo and filigree gallery.